Are you still in search of the perfect business to launch this year? The good news is that there are lots of businesses in various industries like food, sales, service as well as freelancing that are flourishing in the Philippines. In fact, many newbie entrepreneurs and long-time entrepreneurs have joined the bandwagon and took their chances in setting up these booming businesses in the country. 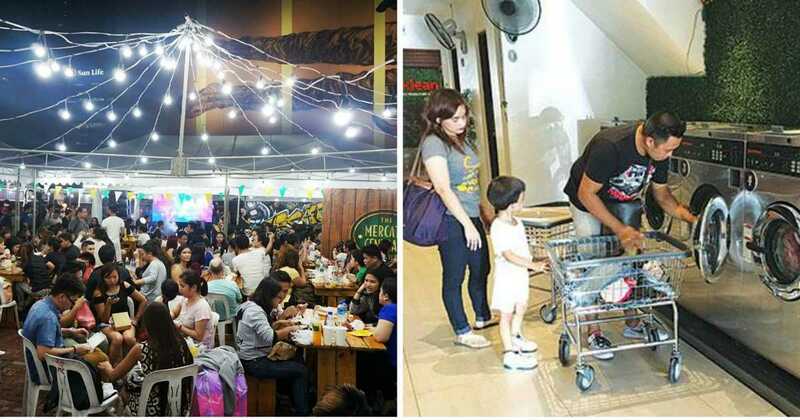 According to Entrepreneur, there’s a food park being launched in Metro Manila every quarter. Indeed, food parks have been a hit in the Philippines because of its unique concept, variety of tenants and affordability. It’s a great opportunity for start-up entrepreneurs to become recognized in the industry once their concept becomes a hit. It doesn’t matter whether you want to sell squid balls, fries or even tempura. These days, you can almost sell anything in food carts which are usually placed in train stations, shopping malls, schools, offices and other public places. While franchising food carts is convenient, it’s also possible that you launch your own food cart brand if you can’t afford the franchise fees. See also Business Ideas: Affordable Foodcart Franchising Business. The Internet has opened a whole new world for freelancers who choose to work at the comfort of their homes. Nowadays, more and more employees are quitting their regular jobs to do full-time freelancing. Through freelancing sites like upwork.com and onlinejobs.ph, freelancers can offer various services like copywriting, network marketing, customer service, virtual assistance as well as graphic design, among many others. While the concept of coin laundry shops may seem foreign to the country some years back, this business is all over Metro Manila and some parts of South Luzon these days. It’s appealing to Filipino consumers because it’s cheap, convenient and saves people time and energy from getting their laundry done at home. You may need a relatively big capital to start this business but it is possible that you can avail of a lease program from your equipment supplier. Planning events like birthday and baptismal parties, weddings, anniversaries as well as company gatherings usually require high organizational skills, creativity, talent as well as having the right connections. Events planners, who are in charge of making an event memorable and successful, are in demand particularly in Metro Manila nowadays. With the higher cost of commodities, parents these days have to work hard and in most cases stay longer hours outside their homes to provide for their children. Because of this, parents oftentimes have less time to attend to the educational needs of their kids. Some entrepreneurs have taken advantage of this need and have setup tutorial centers to guide kids in their homework and upcoming exams. Did you know that an Uber partner can earn at least P2,000 to P3,000 a day? According to the Uber Driver’s Blog, the average gross income of an Uber partner in Manila is P48,000 to P72,000 per month for March 2017. Keep in mind that an uberpreneur’s income may depend on factors like driver’s efficiency and the partner’s rating. Entertainment booths like photo booths are must-haves in parties. Aside from the fact that it keeps people entertained, the photos also serve as souvenirs and documentation of the event. According to fotograpiya.com, you will be able to get your return of investment after just 10 to 15 bookings. Aside from the fact that blogging allows you to impart your thoughts in the world wide web, it’s also a great way for you to earn money even while you are sleeping. If you come up with unique quality content and gain sufficient readership, you’ll soon be able to monetize your blog and earn from it. Buy and sell business has been taken to the next level thanks to the power of Internet and social media. You can sell anything from baby accessories, clothes, gadgets and even properties online. If you don’t want to set up your online shop from scratch, there are various sites where you can post and sell products that require certain fees as well as commissions. How to Start a Bamboo Production Business?